OXFORD, Miss. – When restaurateur Steve Palmer overheard one of his servers say she’d like to buy a home if only she had the down payment, he started a companywide home loan program. 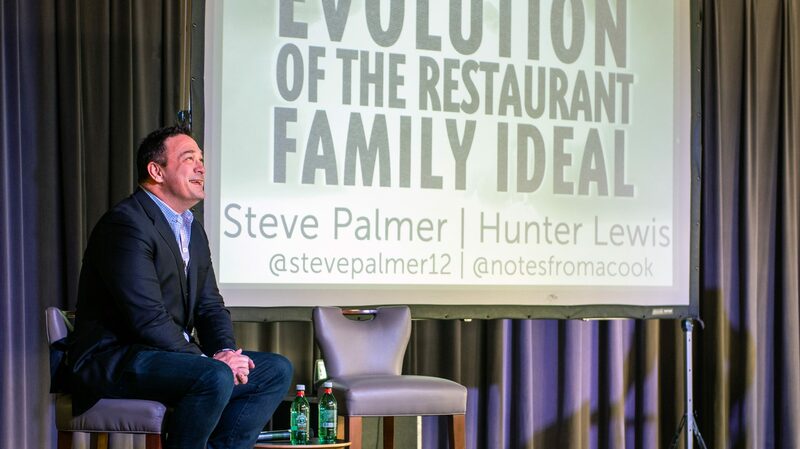 Palmer owns Indigo Road Hospitality Group and, within the restaurant industry he’s renowned as a visionary who supports transformative progress where he sees a need: among his staff, on behalf of his customers and in his community – in that order. One of his most recent investments is a $100,000 gift to the John T. Edge Director of the Southern Foodways Alliance Endowment, which supports the future of the SFA, based at the University of Mississippi. “I grew up in the South and felt like I knew what it means to be from the South, but the SFA has taught me what it really means: It’s about the history, heritage and reconciliation,” Palmer said. “I love the thought-provoking conversations the SFA inspires. Every staff member has Palmer’s personal cell phone number so they can call him directly; he regularly asks employees to review management to ensure they’re being treated fairly, and he enforces a zero-tolerance no-harassment policy. “I just want to say how much we all respect Steve in this industry and thank him for his mentorship, generosity and his willingness to share his experiences,” said Ashley Christensen, of Raleigh, North Carolina, a participant in the SFA’s 2019 winter symposium. In his community, Palmer is passionately involved with charities that fight hunger. Additionally, his restaurant group hosts an annual dinner, the most recent of which raised $500,000 in one night – enough to underwrite the 2019 food budget for a Charleston soup kitchen. The need for a home. Hunger pangs. Substance abuse. Palmer has experienced all these in his 49 years. Homeless in Atlanta, then-13-year-old Palmer worked first as a dishwasher for Yen’s Chinese on Chamblee Dunwoody Road, making $3 an hour, paid in cash, and later as a line cook for Steak ‘n Shake. These were his initial introductions to the industry that would ruin his life and then save it. Seventeen years sober from an addiction to alcohol, cocaine and other drugs, Palmer runs 20 restaurants that bring in tens of millions in revenue. He’s about to marry the woman of his dreams. And he wants everyone to win. “I was a very broken person from a dysfunctional family,” he said. “For me, the restaurant was my family. It was where I found acceptance, where I found everybody is equal. As long as you show up and work hard, then there’s a place for you. Every day at each of Palmer’s restaurants, business stops for a half-hour to give the “family” time to gather. “One of the things that’s deeply important for a nonprofit and for an academic institution is to receive money from people who share your values, who believe in your mission, whom you’re proud to sit at a table with,” Edge said. “Steve is the ultimate embodiment of that in the way he comports himself, the way he runs his businesses, the care, thought and leadership he provides. The John T. Edge Endowment is open to gifts from individuals and organizations. Checks may be mailed to the University of Mississippi Foundation, with the endowment noted in the memo line, to 406 University Ave., Oxford, MS 38655. Gifts can also be made online at https://give.olemiss.edu/https://give.olemiss.edu/. For more information, contact Nikki Neely Davis, executive director of development, at 662-915-6678 or nlneely@olemiss.edu.